These cute little marsupials grow to about 45 cm long, which includes their long tail. Numbats only eat termites, using their excellent sense of smell and long sticky tongue to find and catch up to 20,000 termites per day. They get most of the water that they need from their food, which helps them to live in very dry areas. They are the only Australian marsupial that is only active during the day and they have very large territories. At breeding time, the females give birth to 4 babies which are about 2 cm long. They don’t have pouches like other marsupials, but have longer hair on their bellies to keep their young warm and protected. Numbats used to be found in forests and arid areas throughout southern Australia, but they have been killed off in most areas, mainly due to introduced foxes and loss of habitat. They are now endangered and can only found in a couple of areas in Western Australia (where they are the state emblem) and efforts have been made to re-introduce them back into other states. 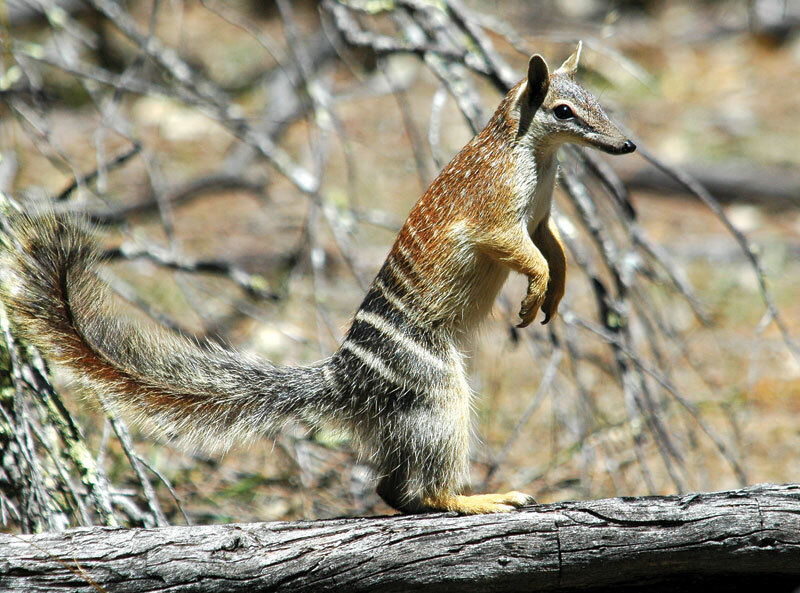 Are there any other interesting facts that you would like to share about numbats?